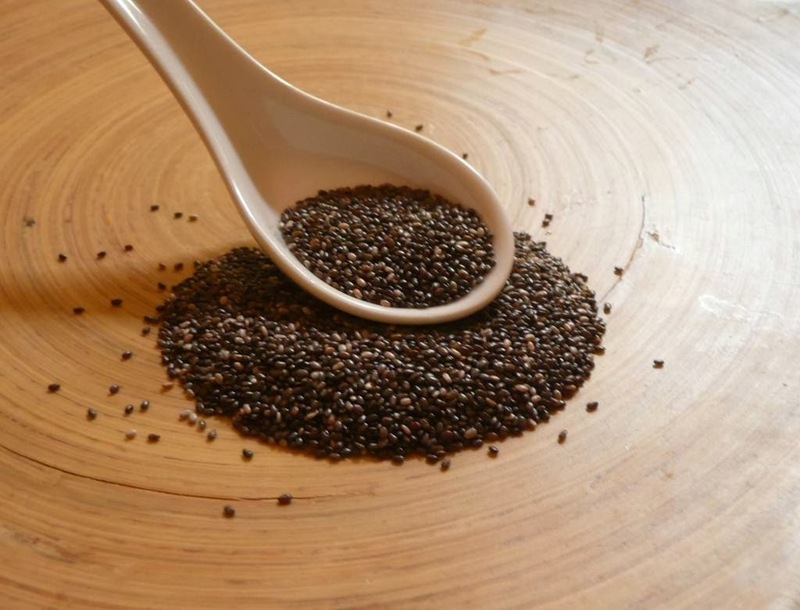 Chia Seed: Superfood & Superseed! Chia, the ancient Aztec “superseed”! Who doesn't remember the ever popular tv commercials from the early 90′s where you could order your own “chia pet” or “chia head” and watch them grow, as well as their extremely catchy jingle “Ch-ch-ch-chia”? Well, if you don't that's ok because that means you probably didn't watch much television at that time lol. Anyways, many people are now discovering the benefits of eating chia. Chia seed is becoming very popular among nutritionists as well as the general public. It is known to have amazing health benefits packed with a punch of healthy nutrients. 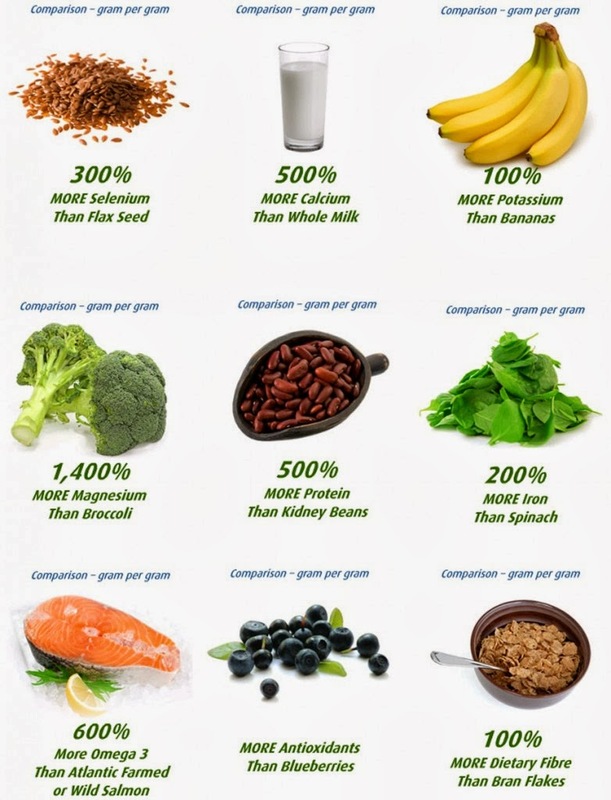 If you are unfamiliar with what chia seed is and it's benefits, here's some great information for you. Salvia hispanica, also known as Chia (pronounced chee'ah), is the richest and only unprocessed, whole food source of pure Omega3. A member of the mint family, Chia is native to Central America and has been used traditionally for over 3000 years. Due to its high fiber content (more than 35%) Chia seed has the remarkable ability to absorb ten times its weight in water, making it an excellent source of hydration. Chia's fiber forms a gel that slows the absorption of sugar into the bloodstream, binds it to toxins in the digestive system, and helps eliminate waste. Chia is especially rich in essential fatty acids. One 15gm serving provides more than 3gm of Omega3 (as alpha-linolenic acid) and 1gm of Omega6 (linoleic acid) in a perfectly balanced 3:1 ratio, making it the richest, unprocessed and fully-digestible whole food source of Omega3. Because they are loaded with high-ORAC antioxidants like quercetin, caffeic acid and chlorogenic acid, Chia seeds maintain a 99% sprout rate and have a shelf life of up to five years. Furthermore, Chia seeds are rich in calcium, potassium, magnesium, iron, zinc; many trace minerals and biologically complete protein, making them the perfect survival food. How Can I Eat Chia Seed? Chia seeds don't need to be ground. It's common to mix them into any number of things like water, fruit and vegetable juices, soups, salads, cereals, etc. The seeds can however be ground into or purchased as Chia ‘flour' and added into flour recipes for use in breads, cookies, muffins etc. one can also pre mix the seeds with water (1 part seeds to 8 parts water) and mix into anything you want to add a nutrient rich punch to. The chia seed gel can be used as a thickener and can replace an egg in your favourite recipe. You can add chia seeds to almost anything you eat without affecting the flavour, and of course it adds rich nutrients we all need. Energy drinks have become extremely popular worldwide as most people nowadays lack the proper diet that provides that body with the energy that it needs for our daily routines. The thing is, the majority of these drinks are not very beneficial for long term health as they contain a lot of processed sugars, high-fructose corn syrup, caffeine, etc. Ancient Aztec warriors prized Chia as an endurance-promoting Superfood, eating it in bread just before battle, and drinking it in water before running long distances on foot. Mixed in lemonade or fruit juice (known as “chia fresca”) Chia seed quickly becomes a refreshing, performance-enhancing, all-natural energy drink. You can check out the video below for the simple recipe and instructions on how to make this delicious drink. You can drink it before your morning run or workout or simply throughout the day to keep you going. Enjoy!